I write this on the road from Tiv-land to Abuja on the return from our highly successful third field workshop. Eleven participants from Nigeria, Kenya, South Africa and the UK attended the event and over five days we have learned a great deal about Tiv farming and identified a wide range of topics for future study. 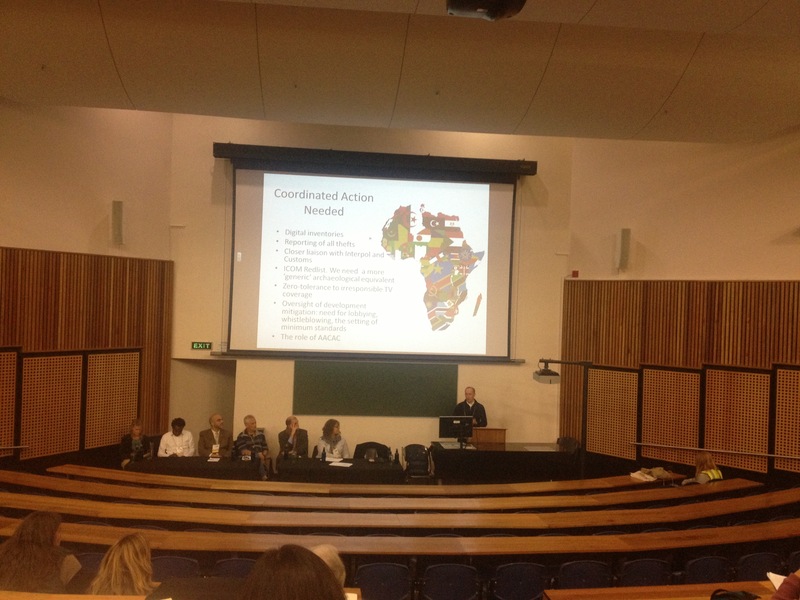 As with previous workshops we explored past research conducted in the area and analysed the intersections between this and the themes of the African Farming Network. 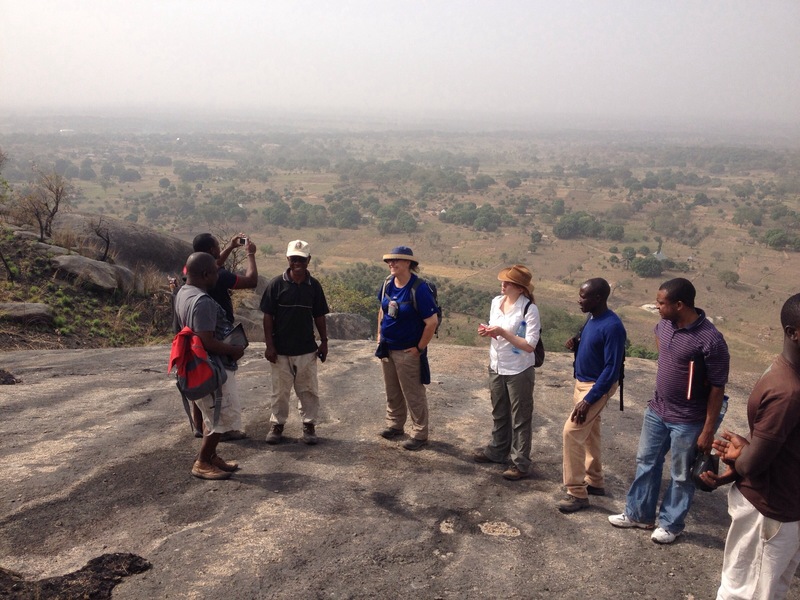 In particular Professor Bayo Folorunso introduced us to the past archaeological and ethnographic work conducted in the region, which had identified a range of 15th century hill-top settlements as key markers of the early Tiv community. These sites will clearly form the foundations for deeper investigations into the history of the Tiv agricultural landscape. We were especially fortunate to hold extensive conversations with Tiv farmers and elders and to learn a great deal about Yam cultivation as well as Tiv social and labour organisation, settlement patterns and issues of soil fertility past and present. 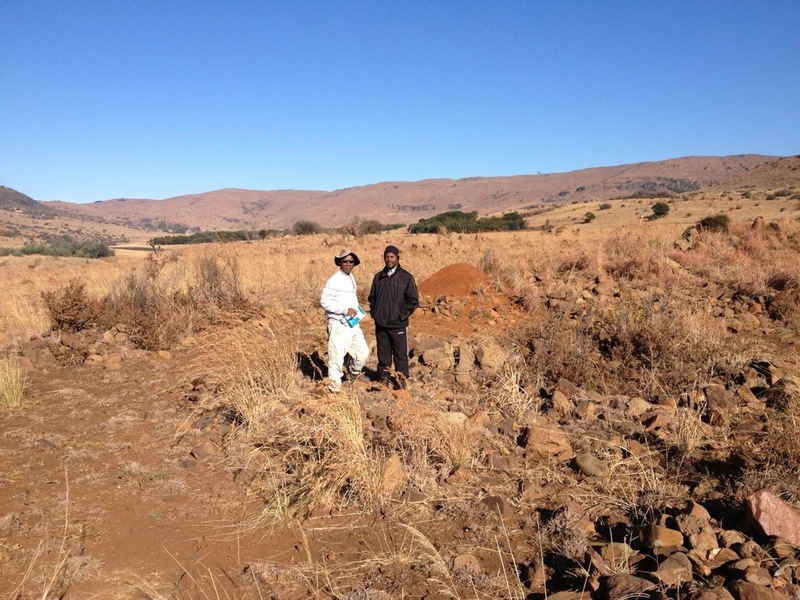 We were also able to collect preliminary samples for pollen and soil analysis and to visit two separate markets where we explored the range of agricultural produce for sale. We also sampled much of it first hand! All participants found the wonderful hospitality of the Tiv people humbling and we all look forward to our next visit to the region! Many thanks go to the local organisers Bayo Folorunso, Emuobosa Orijemie, Zack Gundu, Jonathan Ndera, Richard Chia and Sam Ingyoroko. Further posts on the workshop will follow shortly. I have just been privileged to return from a recent reconnaissance trip to Benue State where I was able to make some renewed observations on Tiv farming in preparation for the coming African Farming Network workshop in the region in January 2015. I here offer some preliminary comments. The Tiv cultivate several crops chief among which is yam. At least three yam species are known to them namely Dioscorea alata, D. cayenensis and D. rotundata with many sub-varieties. During the earliest period of their occupation of the Benue Valley, it appears the Tiv predominantly cultivated yams (January-March), the preparation of which begins in October-December. Yams are usually harvested in August after which cereals (Guinea corn, maize and millet), benniseed (Sesamum indicum L.), groundnuts (Arachis hypogea), okra (Abelmoschus esculenta), soya beans (Glycine max) and garden eggs (Solanum melongena) are planted. When food is scarce usually before the harvest season i.e. in the months of May-June, wild plants and fruits such as figs are gathered. The tradition of food gathering was possibly passed on to the Tiv by their Late Stone Age (LSA) ancestors. Archaeological investigations of a rock shelter in the Tse Dura hills revealed Late Stone Age occupation dating to 4th century B.C. (Andah, 1983). In the early 20th century, the Dutch Christian Reform Mission (DCRM) attempted to solve the problem of food scarcity and encouraged the diversification of the Tiv food-base. They introduced new food crops (beans, cassava and sweet potatoes), encouraged the production of orchards (mangoes, oranges) and propagated the use of fertilizers. Of all the recently introduced plants, cassava (Manihot esculenta) has emerged as very successful. Young cassava leaves are used as spinach/leafy vegetables; the plants are easier to cultivate because they require little tending and weeding compared to yams; their tubers can be processed into several other food types (e.g. cassava flour such as garri and elubo) and starch; they are harvested twice a year; the stems can be re-planted after harvest and used in the production of potash. No doubt the Tiv now produce a higher variety of crops but also battle with new problems—(a) low fertility of soils due to abandonment of Tiv traditional fallow systems and over-reliance on inorganic fertilizers, and (b) the nuisance of weeds in farm lands with concomitant increased number of weeding time and energy. The shift in cultivation impressed on Tiv-land by missionaries had its greatest effects on benniseed and yam, two important ancient crops of the African continent. Benniseed which constituted part of major exporting goods in the early 20th century (Dorward, 1975) is hardly cultivated in Tiv land today. Similarly, emphasis on cassava farming has led to reduced crop yield with particular reference to yam sizes. Yams are significant in Tiv culture; they are used as marriage/dowry and funeral goods; presented as gifts to in-laws and important visitors and used in certain ritual activities. Hence presentation of small yam tubers to visitors is considered inappropriate as well as a sign of disrespect. In order to have better yam yields, farmers prepare the soils into heaps well ahead in the dry season (Figure 1), practise mulching, engage in fallowing and weed farms up to five times in the planting year. The pounded form of yam is the dominant food type of the Tiv usually served at important occasions and ceremonies. The importance of pounded yams among the Tiv is expressed in a common saying: ‘The pounding of yams sends out invitation’. In contrast, cassava is considered unfit for the purposes enumerated above; in fact it is of little cultural significance in Tiv-land, a reflection of its status as an introduced crop. Despite the change in food production brought about by differing farming systems and emphasis in Tiv-land, the cultivation and cultural significance of yams have not diminished. The Tiv have developed and employ new strategies in overcoming the challenges posed by modernisation. These efforts are not merely for food security but geared towards further maintaining the deep cultural significance of yams in Tiv, a phenomenon which clearly sits in antiquity and has stood the test of time. Elenga, H., Schwartz, D. and Vincens, O. 1994. Pollen Evidence of Late Quaternary and Inferred Climate Change in Congo. Palaeogeo., Palaeoclim., Palaeoeco. 109: 345-356. This text has been modified from a recent project proposal developed out of the African Farming Research Network. It highlights the importance of recording, analysing and preserving the great genetic and ecological diversity of African crops and food plants. as essential resources for the future. unique characteristics of these varieties. 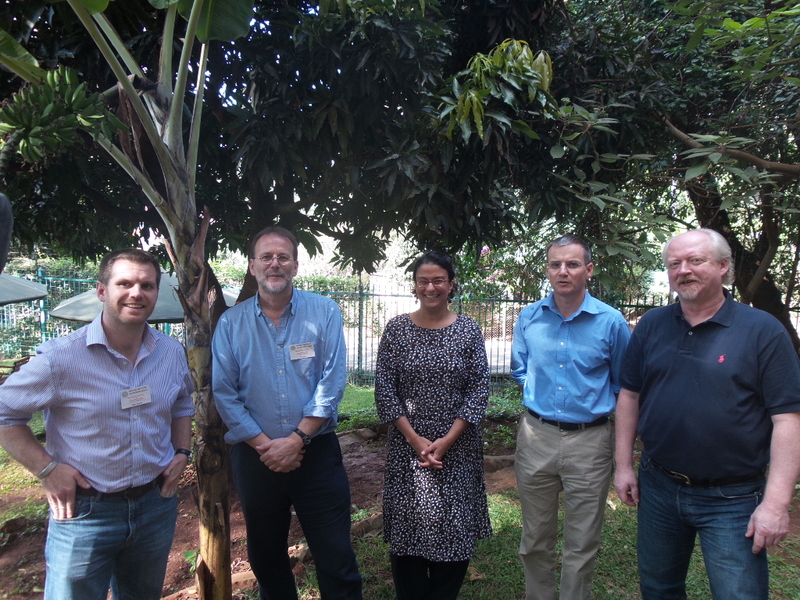 We hope that ongoing research under the African Farming Network will lay the foundations for a more integrated study of African crop varieties from a range of interdisciplinary perspectives. We aim to establish effective protocols for collecting modern and archaeological reference collections, and establish effective networks of human resources, skills training, knowledge sharing, and laboratory resources. As we develop this work we will draw on the expertise within the African Farming Network. In initial phases we hope to establish herbarium quality botanical reference collections from Marakwet Kenya and Mpumalanga Province South Africa including several varieties of sorghum, finger millet, pearl millet, maize, squash and beans. This work will build on ethnographic data already collected in Marakwet and especially on the experimental crop gardens established under the Bokoni research project. We will collect a wide range of ethnographic and contextual data on these specimens and establish both physical and online repositories of the crops and associated data. 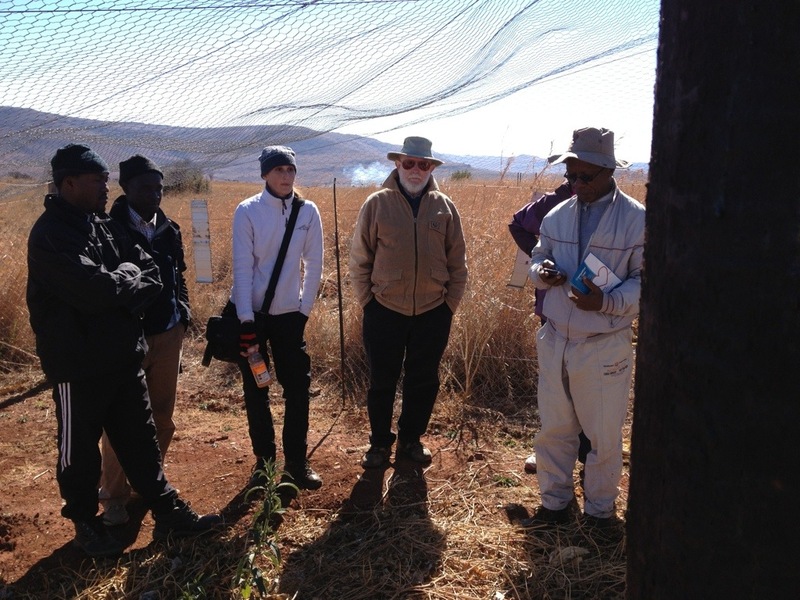 Workshops in Cambridge and South Africa will train team members in botanical collection and preservation methods and share knowledge concerning the range of more advanced analytical techniques to be applied in later phases. Special focus will be paid to the future potential of crop genetic studies drawing on the reference collections. We also hope to expand the collections and analysis to other parts of the continent, especially to the Tiv-land component of the African Farming Network. develop mitigation strategies, we believe that this pilot collaboration will enhance and contribute directly to global stores of ecological resilience. A wide range of plant foods is on sale at Koloa market. Sacks of maize and Phaseolus beans have been bought wholesale to resell, the beans sometimes as a five variety mixture. There are a number of varieties of potatoes, sweet potatoes, chives, two types of onion, bananas and sugar cane. One thing these listed crops have in common is that none traces its origin to the African continent. The chives and onions were domesticated in Europe or Asia, bananas and sugar-cane in south east Asia, and the remainder (the majority) are New World domesticates. A number of African domesticates can be found, but it takes a bit of asking around. Koloa market captures a history of successive displacement of prior agricultural practices, and incorporation of non-African elements. Many of those using the market remember several decades of that transformation, and retain a very detailed account of their grandparents’ time. The following account draws on a variety of conversations, both at the Koloa market and elsewhere, always involving Helena and myself, and often a number of others from the fieldtrip group. In our various brief and often impromptu interviews, we quickly became aware of the greater depth of subsistence agricultural knowledge arising from conversations with women. A link between cash crops and men as posited by recent writers such as Caretta and Börjeson (2014) was not as immediately evident, as the market and other places contained many entrepreneurial women. Caretta and Börjeson detail a series of crop varietal names which overlap with, but do not entirely match the longer list compiled by Helena. This is unsurprising as all parties are recalling varietal names, sometimes from their parents’ and grandparents’ generations. Further enquiries would clarify these, and indeed some terms may have multiple usages. Ongoing work by the Marakwet research team will clarify this situation and the partial history outlined below. Other crops in use include potatoes, sunflower, carrots, mangoes, oranges. Of these crops, watermelon and cowpea are African domesticates, but from other regions of Africa. New maize varieties, eg. DH04, S13 are developed by the Kenya Seed Company. Pesticides, fertilisers and tools were supplied, together with three years’ training from the Red Cross. Independence and the demise of British influence were followed by the Green Revolution and the emergence of the World Bank as a significant force in its implementation (cf President McNamara’s call for support for the smallholder, Nairobi 1973). Marakwet informants remember the Kenyan government parastatal the Kerio Valley Development Agency (KVDA) as prominenet during this period. The prescriptive strategies of the local officer attached to the KDVA seem in some but not all ways to have mirrored the earlier British Colonial strategy. An interesting aspect of the period of the KVDA (created 1979), not figuring in the preceding Colonial period was the introduction of a range of new, fast maturing varieties of the indigenous East African cereal, finger millet. A range of such varieties cut the original 5-6 month growth cycle by a half. It would be interesting to know more about this period of crop-breeding interest in this local resource. While it provides the likely context, the KVDA only got its license to produce seed in 2013. Katumani, which is remembered as a key short season millet from this period, was developed at the Katumani research station of KARI (Kenya Agricultural Research Institute) established in 1979. Another short season millet named America was introduced in the 1980s. The contribution to crop development of a priest, who arrived from Zwaziland shortly before the KVDA and stayed 30 years, would be useful to establish. Crop improvement was among this Father Benedict’s diverse interests. Katumani is currently produced by the Kenya Seed Company (established 1956). Up until diversification in the late 70’s, this company focused on the non-African crops sunflower, maize, and wheat. It now offers a range of indigenous African crops: finger millet, sorghum, cowpeas, and a number of indigenous vegetables. This reflects a trend through Africa, of movement from the Colonial strategy of replacing ‘inefficient’ indigenous agriculture with ‘efficient’ exogenous systems, to a gradual interest, both in diversity, and indigenous resources, at a time when those resources have become much depleted. Joseph Thompson’s 1883 expedition through Kenya marks the start of a sustained European fascination in the region’s indigenous fauna and flora. However, it is difficult to find evidence of that fascination extending to the species that comprised indigenous agriculture. The East African Herbarium (now part of the Museum Service) was established in Nairobi in 1902. Although it now has an ‘Indigenous Food Plants Programme’, its accessions include only one specimen of finger millet, and that is an Indian variety. The year before the Herbarium opened, the East African Railway route to Kampala (passing not far from the Kerio Valley) opened, forming the axis of a quite different agricultural sector, aiming to raise exogenous commodity crops for international markets. This progress intensified after the Protectorate in 1920 became a British Colony. In many commentaries, ‘traditional agricultural methods’ are acknowledged, but clearly regarded as part of the problem rather than part of the solution (Pereira 1997; Silk 1985). The British instead adopted a kind of latitudinal strategy across the empire. They drew on their own knowledge of what had worked well (in extractive terms) in India or the West Indies, and tried it out in the central latitudes of Africa. In 1914, a law was brought to the Kerio Valley to establish terrace agriculture (kirakaena). A wide range of crops was introduced: Peas, cassava, sweet potato, groundnut; pawpaw. Subsequently cowpeas and bananas. At some stage, onions and mangoes. Highland and lowland maizes were introduced (Chebalos and Kisim respectively). In the 1940s/1950s, a certain Mr Spencer introduced new varieties of crop to the region. Some informants spoke in general terms about ‘before the British’. Kiplasoi (age 90) spoke about ‘the time of his grandfather’, which presumable alludes to the later 19th century. Another informant of similar age to Kiplasoi was adamant that the British didn’t teach them how to farm – they already knew! A three part cycle of sorghum-millet-long fallow is often mentioned. Stems were cut, but roots left in place, both in the case of cereals and the interspersed Acacia trees. The latter rootstocks, and more particularly their rhizobial populations, may have been critical to maintaining soil nitrogen, as the only other nitrogen enrichment alluded to was the folding of animals in the fallow period. At least some of the millets of this time are referred to as ‘wild millets’. However ‘wild’ they actually were, they did have the ability to arise spontaneously and grow without much assistance, and apparently can be seen growing as ruderals today in particularly moist spots. It didn’t require irrigation if situated in the appropriate rain catchment (eg foothill edge). They don’t need much cultivation, and their ground can be cultivated with a digging stick. They had a long growing season, sown in March and harvested August/ September and merge into the following named varieties: Montrich; witwit; chuko; chepkorit; kiptukeris; kimino; kitau; kipkorombu; kimokono. The sorghum variety we believe was Kipkanin. There is no reason to suppose that agrarian practice was any more static prior to historic record than it has been since. I would avoid projections of a timeless agrarian mode into this evidence void. Indeed, Initial observations by Charly French from the field trip (see his earlier post) would suggest some fluctuation in environmental engagement over the Holocene, with at last four contrasting episodes of engagement with the soil. Some observations can be made about the deeper history of the crops (and livestock) themselves. Finger millet is the quintessential East African cereal crop. Archaeobotany has not been widely practiced but records back to the 1st half of the 1st millennium AD range from Ona Nagast (Ethiopia); in the north to Kibuye (Rwanda) in the south (Giblin and Fuller 2011). Its origin and spread are poorly understood, and would lend themselves well to an archaeogenetic study. Sorghum is better understood, with growing evidence of origins in Sahelian East Africa. The best African evidence is currently from Sudan. Both these Eastern crops are recorded in India from the 1st millennium BC, indicating at least as early an origin and spread somewhere in East Africa. There is currently much archaeological evidence of African crops in prehistoric India, less research to cover those same crops in prehistoric Africa, and that would certainly clarify the picture. We can only conjecture the extent to which ocean exchange affected agrarian resources in the region. By the 1st millennium AD deep ocean exchange was putting South East Asian, South Asia and East Africa in contact, with considerable associated evidence of crop movement. Shallow ocean coast-hugging has a much greater history (Boivin et al. 2013). Even though the evidence is slim, one thing that can be observed about the earliest crop and livestock resources we know about in the region, they resonate with connections across the Indian Ocean/ Red Sea. What we do not see at this stage, is evidence of an ancient contribution from West Africa. A number of grains and legumes originated in West Africa, including such major crops as pearl millet and cowpeas, but their appearance in the region seems quite recent. This absence of a West African element is of interest in the context of narratives about Bantu migration. Flotation and archaeobotany will form the backbone of a more comprehensive understanding of agrarian history in the region, ideally contextualised within the kind of geo-archaeological sequence that Charly French is envisaging. Alongside that activity, I am conscious of the considerable potential for archaeogenetic study of selected crops, particularly sorghum and finger millet. The components of this are: genetic studies of extant ‘land-races’, and targeted, selective genetic study of historic and archaeological specimens. This requires major grant funding, but the material lends itself to a very competitive application. However, the key groundwork is the collection of the land-races themselves. The distinction between ‘cultivars’ and ‘land-races’ can be simply expressed thus; cultivar seedcorn is acquired at the market, land-race seedcorn is acquired either from the family, or from local community groupings. It is a pragmatic distinction, with fuzzy boundaries, the key utility being land-races often preserve a remarkable amount of historical and geographical information in their genetic makeup (which in cultivars is blurred by extensive market exchange). There are several gene banks around the world archiving land-races as a breeding and food security resource. Sorghum is a major world crop, and land-races collection is well developed. As with many ‘minor crops’ land races of finger millet are poorly collected and archived, a reflection of the historic emphasis on global cash crops. As outlined above, that emphasis has progressively shifting, and is shifting, towards a greater value being attached to the historic diversity of human food resources. For example, the millets are typically lower yielding than the large-grained cereals, but also typically have significant ecological and grain quality advantages over those crops. The potential to build genetic information from poorly studied crops is also rapidly increasing. In this changing context, finger millet is likely at some stage to receive genetic attention, and it is useful to bear two things in mind: commercial investors will understandably aim to maximise and protect their intellectual property (IP) arising from research; extant landrace diversity in indigenous crops is a resource of significant value, both in relation to food futures, and understanding food histories. For this reason, I think it would be timely, especially when the folk/ family memories of crop varieties are still reasonably fresh, to record and sample land-races (particularly of finger millet, but also sorghum and other crops), to arrange for their archiving, and to give some attention to IP, such that discussions/ negotiations with potential research funders is on an even footing. When funding is underway, it is likely that foundations, state research bodies and the private sector would all be involved, and research into food futures and food histories intimately intertwined. The agricultural heritage of crops such as finger millet has an important contribution to play in that. Hanotte O, Bradley DG, Ochieng JW, Verjee Y, Hill EW, Rege JE. (2002) African pastoralism: genetic imprints of origins and migrations. Science. 2002 296(5566):336-9. Moore, Henrietta L. 1995. Space, Text, and Gender: An Anthropological Study of the Marakwet of Kenya. New York: Guilford Press. Silk B. 1985. Post War Food and Cash Crop Production in Former Colonial Territories. Oxford Development Records Project, Report No. 8. Oxford: Rhodes House Library. (University of Bath, Catalogue Unit for Archives of Contemporary Scientists). 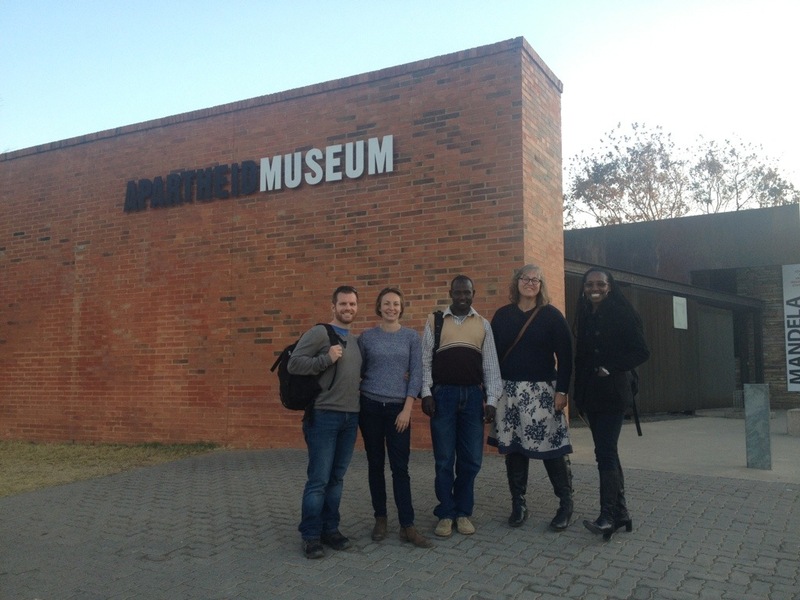 As part of the African Farming Network’s field workshop in South Africa, the network members also attended the congress of the Pan-African Archaeological Association and Society of Africanist Archaeologists meeting at Witts University Johannesburg. The network took centre stage in two consecutive congress sessions on the topic of African farming. The presentations were kicked off by an introduction to the network, its partner projects, and its field workshop meetings. This was followed by three papers on Marakwet including presentations by Timothy Kipkeu Kipruto, Freda M’Mbogori, Matt Davies and Anna Schoemaker. 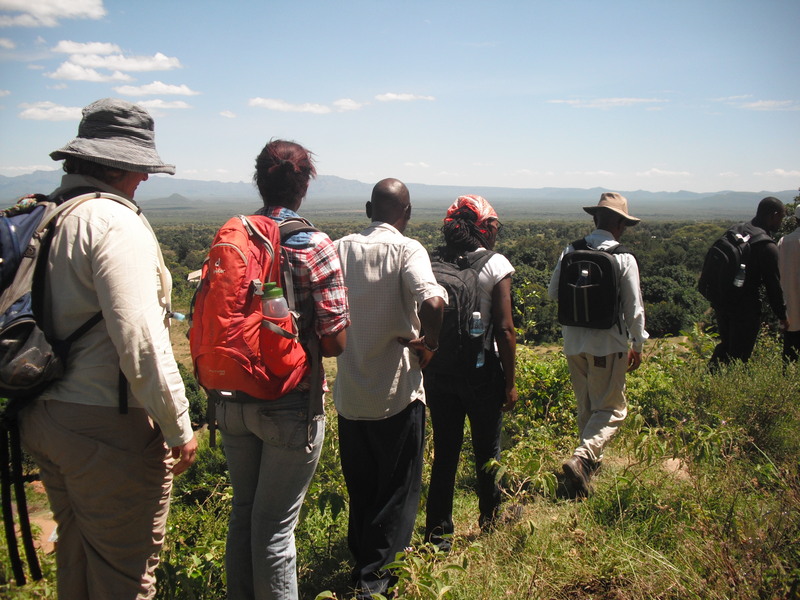 The presentations dealt with the Marakwet research team and community research methods, the Marakwet agricultural landscape and its development, and Marakwet archaeobotany and crop processing. The Marakwet papers were followed by four papers on Bokoni by Alex Schoeman, Mats Widgren, Tim Maggs and Tanya Hattingh. The papers covered Bokoni archaeology and homestead evolution, Bokoni landscape, terracing and possible social structure, and archaeobotany and phytolith analysis. The final network paper was due to be presented by Bayo Folorunso and Emuobosa Orijemie on the potential for studying Tiv Farming. However, bizzare South African visa regulations prevented Bayo and Emuobosa from attending the conference and consequently Matt Davies had to prevent their paper on their behalf. Abstracts of the papers presented can be found here. Despite this minor set back, the conference was a great success and a wonderful opportunity to present the network to the broader academic community. We are extremely pleased that the conference sessions were so well attended and by the very positive feedback we were given. We look forward to the next meeting! The second field workshop in Bokoni South Africa has just been completed (see here for more information and pictures). Workshop participants from Kenya, Nigeria, the UK and Sweden joined South African colleagues for a week of field discussions and practical demonstrations. We were especially pleased to learn about the Bokoni project’s extensive excavation of homestead sites and mapping of terraced landscapes. Cattle roads linking selected homesteads are especially interesting and offer the potential to understand Bokoni social and kinship structures. Questions of labour, cattle, land and social structure (especially marriage) now seem particularly significant in the management of the system and will no doubt form a major area of future research. The workshop participants were also treated to excellent presentations on ongoing work by Bokoni graduate students on soil chemistry and phytolith analysis. The development of an experimental crop garden to analyse the ecology of African crops and produce a phytolith reference collection for future studies seems a particularly important development with wide application across the continent. All in all the workshop was a very enjoyable experience and a great event. We will all take a considerable amount away from Bokoni and look forward to developing further joint initiatives. Special thanks must be made to Alex Schoeman and her team (Tanya and Lauren) for making the week so enjoyable. Further reports in the workshop will follow in due course. 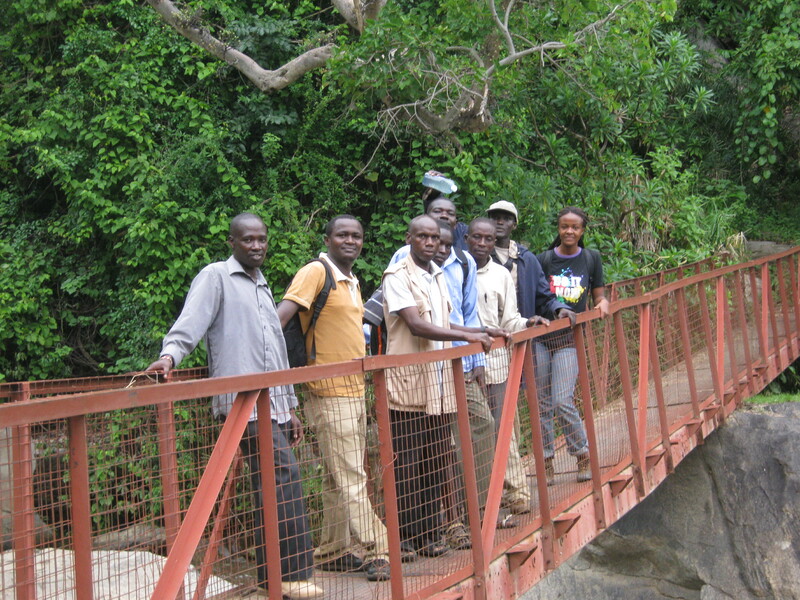 Have a look at this new article published in the Antiquity on-line project gallery which highlights the participatory community research methods being used in the Marakwet Project. Freda is a research scientist and Head of cultural Heritage at the National Museums of Kenya as well as co-investigator in the African Farming Network. She participated extensively in the first field workshop in December2013. In Johannesburg in July there will be a vast gathering of Africanist archaeologists for the joint congress of the Society of African Archaeologists (SAFA) and the Pan-African Archaeological Association. The African Farming team aims to have a strong showing and we have seven papers accepted for inclusion in the congress. The papers and abstracts can be downloaded below and include papers on Marakwet Kenya, Tiv Nigeria and Bokoni South Africa. Topics range from settlement patterns and demography, to irrigation and soils, landscapes and time, domestic household archaeology, archaeobotany and crop processing. We expect most of the network team to be in attendance and look forward to seeing you there!